One of the Greatest Stories Ever Told Now in a 99.9% Silver Proof! The story of Daniel being thrown into a lion's den is one of the most familiar in the bible. To both non-religious and Christians alike, it is a dramatic narrative. Those who are adamant coin collectors as well as those living a faith-centered life will delight to owning this shining silver proof that captures this famous story. 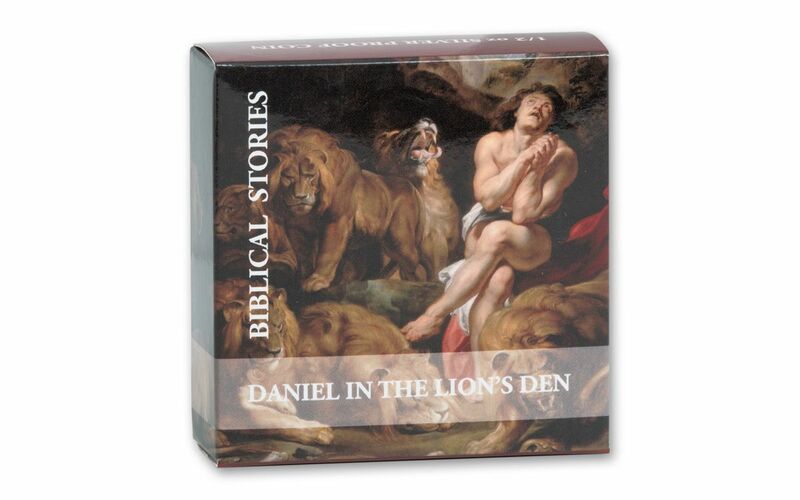 If you’re already a collector of the 13-proof, Biblical Stories series, you're in luck! This proof of gleaming 99.9% fine silver depicts the story of Daniel in intricate detail and is a true treasure to behold. We wouldn't want you to miss out and highly recommend ordering this stunner today, as there are only 1000 minted! 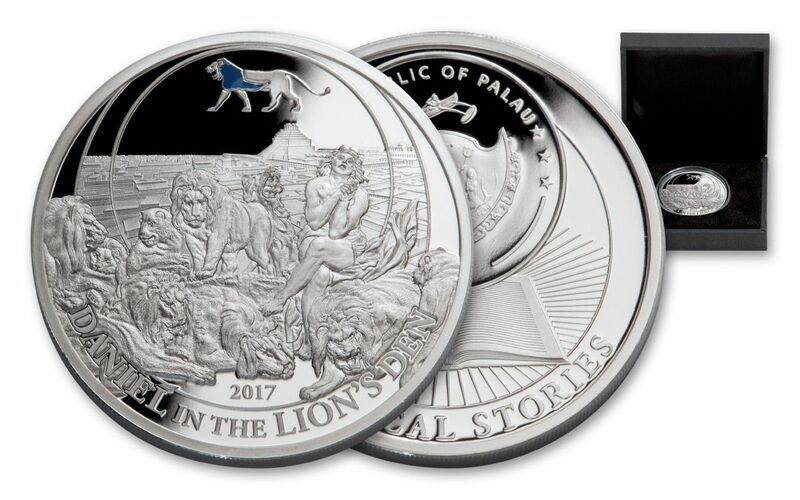 Not just for coin collectors, any admirers of the bible with cherish this Palau 2017 $2 ½ Oz Silver Daniel in the Lions Den Proof, too, and may start a new hobby! 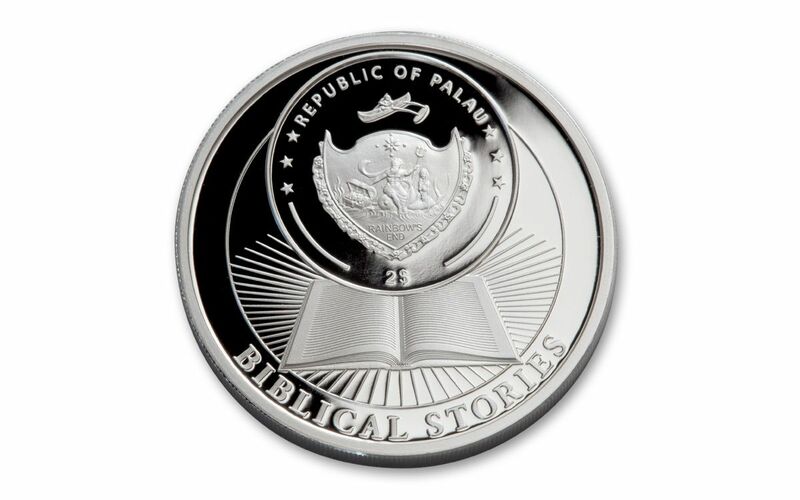 PART OF A 13-COIN SERIES - This 2017 Palau proof is one of 13 in the "Biblical Stories" proof series. Released by the Palau Mint and made of 1/2-oz. fine 99.9% silver, this shining coin captures a spirited depiction of Daniel praying to God, with lions in the background. The obverse shows the Republic of Palau's Coat of Arms with 2$ inscription and BIBLICAL STORIES engraved on the bottom border. GLEAMING PROOF OF SILVER - Struck in 99.9% fine silver, this 1/2-ounce coin is proof-minted struck on specially-made planchets using polished dies, the only way true proofs are produced. Multiple strikes are made to produce the amazing, mirror-like surfaces and spectacularly, sharp details. 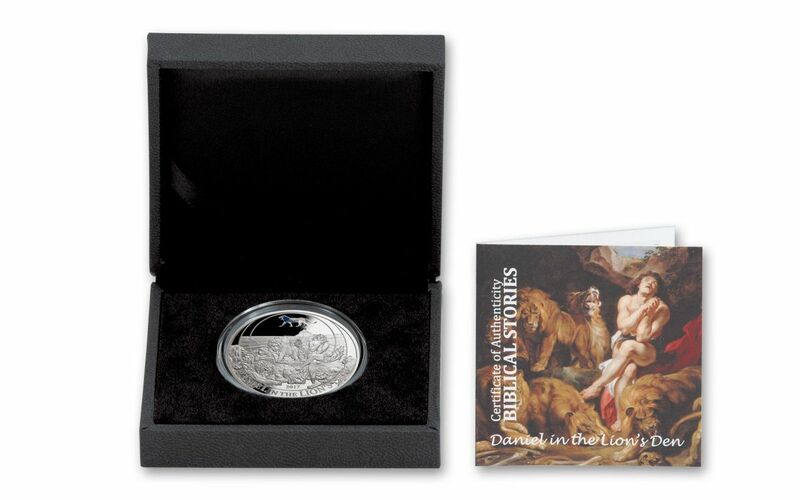 Weighing in at 15.57 grams and measuring 35mm in diameter, this proof is, quite frankly, a masterpiece for collectors of the Biblical Stories series as well as those in the Christian community, alike. PALAU $2 LEGAL TENDER - More than just a commemorative proof, this coin is also legal tender coin for the country of Palau, an island country in the western Pacific Ocean. SPECIAL PACKAGING - Each coin will arrive in a classic presentation box from the Palau mint with an official certificate of authenticity. EXTREMELY LIMITED MINTAGE - Only 1,000 of these gleaming silver proofs are in our vault. Don't wait until they're gone, secure your piece of biblical history today, before they're gone! Shop GovMint.com right now, to add this phenomenal addition to your collection. We can’t stress it enough: don’t wait to place your order on this limited mintage gleaming proof. Millions of collectors and religious folks alike will be racing to get their hands on this sought-after series coin. Other similar proofs have sold out in record time. 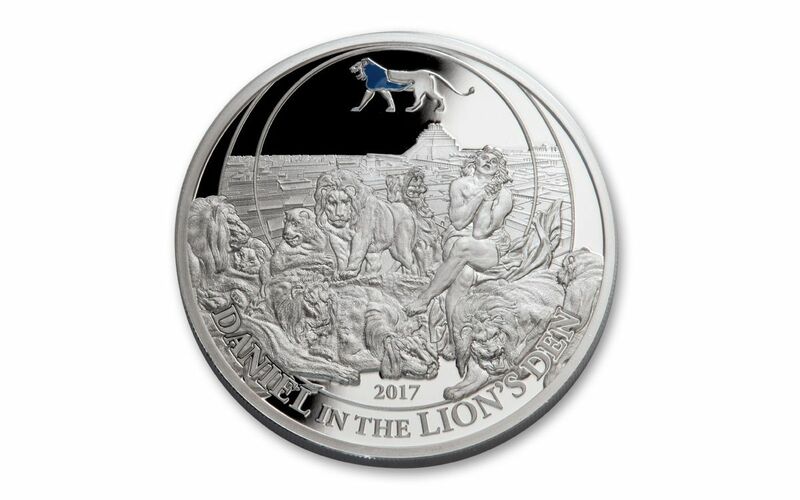 Secure your official 2017 Palau 2017 $2 ½-Oz Silver Daniel in the Lions Den Proof now!